Original recordings were made in Puy-Les-Vignes disused mine, April and May 1995. Some parts were used on the M.SL tape published by kaon. Composed / Mixed @ TBS, Tlse, 2014. SACEM 2014. Since the 1990s, French sound artist Cédric Peyronnet has established himself as one of the most prolific and original composers working with field recordings. After numerous CD releases under his own name and as ingeos and toy.bizarre, this is his first ever vinyl. 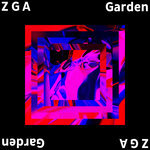 It was made commissioned by composer and label head EMERGE. A long-standing fan of Peyronnet, he contributes a piece to the split release that is based on Peyronnet’s recordings. The theme running through the whole split album is the acoustics of mines. All material is based on field recordings made by Peyronnet in (partially disused) French mines in the mid-1990s. Scratching, gravelly, cavernous sounds dominate the soundscape, evoking a world of subterranean gloom that seems familiar to listeners of EMERGE’s bass-heavy drone compositions. 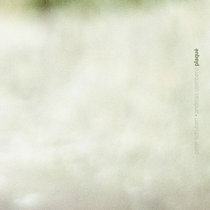 In Peyronnet’s piece, the field recordings are simply arranged in a collage-like manner, but the atmosphere created by this editing is strikingly similar to the one dominating the album side processed by EMERGE. This turns the album into a subtle play with the expectations of the audience. What just a second ago seemed to be mere random ambient sound suddenly turns into a musical structure through rhythmic repetition, and an apparently documentary audio snapshot might actually be digitally treated. Through this intriguing interplay, the two artists make us reflect on the role of the recording medium which, through the very fact that it is a medium, turns every ‘natural’ sound into a ‘cultural’ artefact. 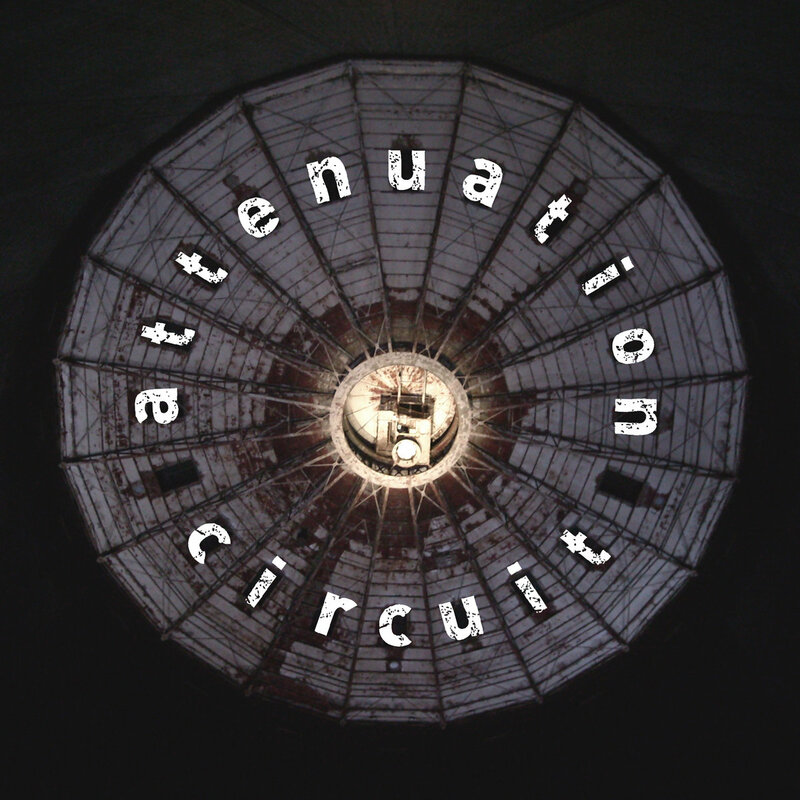 Split ablum release on Emerge Attenuation-circuit in collaboration between Toy.Bizarre (the French artist Cédric Peyronnet) and German project Emerge who contributes with a track. The work's based on field recordings made by Peyronnet in (partially disused) French mines in the mid-1990s, and the result is a noise/dark ambient with various and sudden changes of mood (from harsh noise to meditative drone music). interesting. 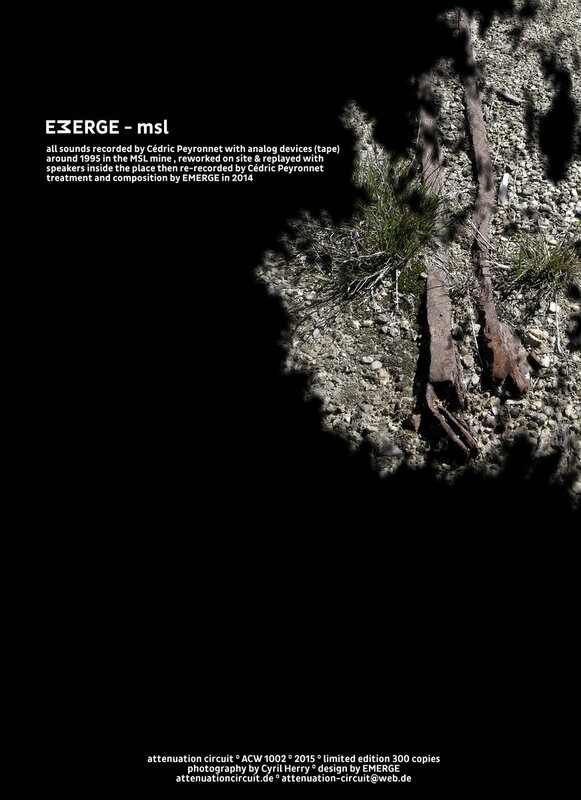 The common thread on this split album is the recording of sounds in (partially disused) mines. It serves as the basis for the two compositions by Toy Bizarre and the one by Emerge on the other side. The information states that this is the first time the music from Toy Bizarre is released on vinyl, but there has been a 7" on Drone Records and one on 20city. 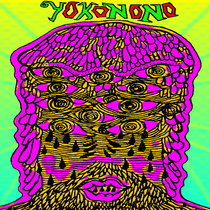 Toy Bizarre, one should know by know as we reviewed many of his CD and CDR releases, is the work of Cedric Peyronnet. In April and May 1995 he made some field recordings in a disused mine and used before on a cassette release by Serchres Mound (in 1996) - I am no longer sure how that sounded. In the two-part composition, which Peyronnet created in 2014 using this sound material, he opts for a more on going approach, layering various sound events together. This is a drone like piece, but then cut abruptly together. It is not your twenty-minute/one side of drone music, but Peyronnet goes through various stages, and through different dynamics: it can be very low in volume, but also pleasantly loud. It seems that everything that was recorded in the mine has disappeared in the lengthy process that was at the basis of this composition. It works very well, as Peyronnet created a fine, twenty-minute journey here. Here’s a great test for A Closer Listen staffers: play one side of an LP containing collaged field recordings, and another side containing these same field recordings, enhanced by drones. Then challenge them to label the sides. Even after learning the answer, the ears remain fooled; Cédric Peyronnet’s (toy.bizarre‘s) side seems more like a soundscape, while Sascha Stadlmeier’s (EMERGE‘s) side seems more like a field work. The blurred line underlines the congruity between field recording and structured drone; on this release, the artists flip the script. French sound artist Peyronnet (who also records as ingeos) has been sitting on these recordings for quite a while. 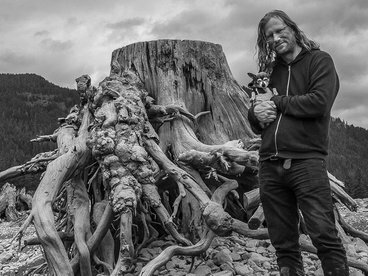 Originally captured in a mine two decades ago, these crumbling, reverberant, rock-based sounds were recently given the once-over, as if the artist had suddenly realized that he had mined a vein of sonic gold. The opening minutes include the sound of gravel, backed by a cavernous, looped echo; as the piece develops, the sound of stone seems to turn into the sound of steel, while a higher-pitched drone develops. Then it all drops out, like the silence after a person has fallen down a well. One imagines the flickering flashlight, the illuminated petroglyph, the broken leg, the shattered transmitter. From here, it’s an arduous journey back to the light. When an avian-like aural pattern develops toward the end of “kdi dctb 018[a]”, followed by an even more oppressive whorl, one remembers that the word composition applies to collage as much as it does to the genesis of sounds. Whenever a conscious choice is made that alters the frequency, order or amplitude of field recordings, it becomes a soundscape. Peyronnet excels in this field because he has an ear for development. Nothing in “[a]” or “[b]” seems random; this is already a fully-fledged work. By the midpoint of “[b]”, cacophony threatens to overwhelm the listener, in the same manner as immersive drone; it’s humbling to think that the source recordings stem from nature. Now enter EMERGE, the head of the Attenuation Circuit label, who must have been overjoyed to have such rich source material to work with. Known primarily as a noise/drone artist, EMERGE turns in a surprisingly restrained side-long piece, softer than toy.bizarre’s side but more overtly rhythmic. With the exception of the looped percussive noises, one cannot tell the difference between the natural and the manipulated. 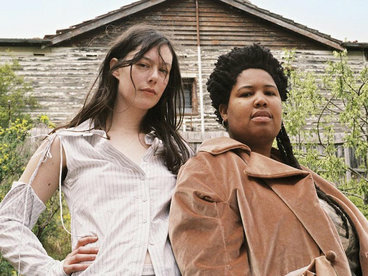 The “new” drones may take the place of the “old”, but primitive music took its cues from nature, while effective modern music connects listeners to primeval roots. Repetition exists on both sides, but the transitions (beginning at 2:18) are more abrupt than one might usually encounter outside of composition. One recognizes the sounds of Side A when one hears them again on Side B ~ the crackling, the rustling, the dull roar. The shattered glass sounds of the twelfth minute are sharper, but the hums are quieter, creating a different sort of contrast. In the fifteenth minute, the artist seems to be drawing on the mine wall with a rock. The human element is more apparent here, where it is not expected ~ the artist’s familiar walls of sound have been replaced by sound with walls. 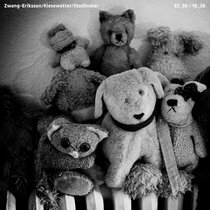 Cédric Peyronnet, seit 1985 besser bekannt als TOY BIZARRE, ist einer der hingebungsvollsten Erkunder und Phonographen von Klanglandschaften, genauer, von Klanglandschaftsessenzen. Mit dem Code kdi dctb, der bisher mindestens 216 Fund- und Werkstücke umfasst, hat er seine Fieldrecordings durchnummeriert, die jeweils eine Szenerie auf seinen Streifzügen auf eine Weise einfangen, wie Google Maps das nie können wird. 'kdi dctb 018' ist nun sein Beitrag zu einem Split (ACW 1002, LP) mit EMERGE, dessen 'msl' ebenfalls ganz aus Klangmaterial von Peyronnet besteht. Fundort war die seit 1955 aufgelassene Wolfram-Mine bei Puy-Les-Vignes im Limousin. Die steinige Lokalität wird von Peyronnet so aufbereitet, dass ihre mythopoetische Aura hörbar wird. Als ein schiefriges Scharren und Rieseln auf einem dröhnenden Fond. Das den Aspekt der Arbeit und der Nützlichkeit, etwa die Verwendung von Wolfram in Stahl, als panzerbrechende Munition oder in Glühlampen, ganz und gar verbirgt. Statt dessen nimmt Peyronnet eine Art mikrotonaler Orchestrierung vor, die in konkreter Klanglyrik die Wut der Steine und das Fürsich- und Gegenallessein der Minerale hervorkehrt. Die Klangmoleküle schlittern und wispern, sie verstummen und erwachen wieder, als oszillierendes Dröhnen, als pseudosopranistische Vokalisation, als schwellendes Brausen und Brodeln oder das Raunen eines Steintrolls. 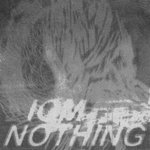 Unter dem Harsh Noise tun sich dunkle Hohlräume auf, während die Oberfläche derart nesselt, sandstrahlt und stürmt, dass einem die Festigkeit der Dinge trügerisch vorkommt. Die dröhnende Resonanz von EMERGE schürt diesen Generalverdacht. Seine Steinwelt ist bedrohlich virulent, als Steinschlag, als ständiges Bersten, Reißen und Steinbeißen. Als polterndes Mahlwerk. Oder Gamelan von Trolls. Denn es klingt ebenfalls nicht industrial und vernünftig. Sondern wie in einer nicht geheuren Märchen- und Unterwelt mit dort verborgenen Wesen, die scharren und klopfen, dass einem ganz anders wird. Eisernes oder schiefriges Geschepper wird von dumpfem Wummern begleitet, Holzbalken poltern. Da wird nicht gebaut, es wird rücksichtslos abgerissen und durchgebrochen. Als hätte sich die minengrabende Gewalt gegen die Erde verselbständigt. Denn man muss vielleicht die Perspektive nur umdrehen. Menschliches Tun klingt in nichtmenschlichen Ohren wohl meistens wie das Toben von bösen Geistern. On se souvient que Frédéric Nogray avait utilisé des field recordings de Cédric Peyronnet (alias Toy.Bizarre) sur Vaccabons et Malfactours. Aujourd’hui, c’est au tour d’EMERGE, sur ce split vinyle de l’excellent label Attenuation Circuit. Mais place d’abord à Peyronnet. Ses enregistrements de terrain, qui datent de 1995 (sortis une première fois sous forme de cassette), sont minés (mine de tungstène de Puy-Les-Vignes, en Haute-Vienne). Fermée dans les années 50, elles semblait attendre qu’on l’explore. Et ce qu’en fait Peyronnet est tout simplement fantastique. On croirait entendre battre un cœur (et parfois même plusieurs) sous des monceaux de gravats quand ce n’est pas une guitare électrique passée à la meuleuse (électrique itou). Spé et spatial. Quant à EMERGE (nom sous lequel se cache Sascha Stadlmeier), il donne l’impression d’extraire des détails d’archives sonores dans le but de les traiter (bien ou mal). Il les chiffonne ou les fait tourner en boucles ou en fait des modules rythmiques ou des drones fins… le tout en respectant un fil conducteur qui joue beaucoup des silences. Une autre façon de raconter ce lieu abandonné, plus fantasmée, plus intuitive. Moins stupéfiante, mais en tout cas bien différente. It would be interesting to hear how a listener might respond to this split release (available as a download and in a vinyl limited edition of 300 copies) by toy.bizarre (French sound artist Cédric Peyronnet) and EMERGE (Attenuation Circuit label head Sascha Stadlmeier) under blindfold conditions, given how unusual its sound contents are. 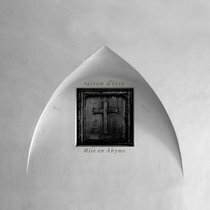 In fact, the recording's three pieces are based on field recordings gathered by Peyronnet in 1995 in (partially disused) mines in Puy-Les-Vignes. 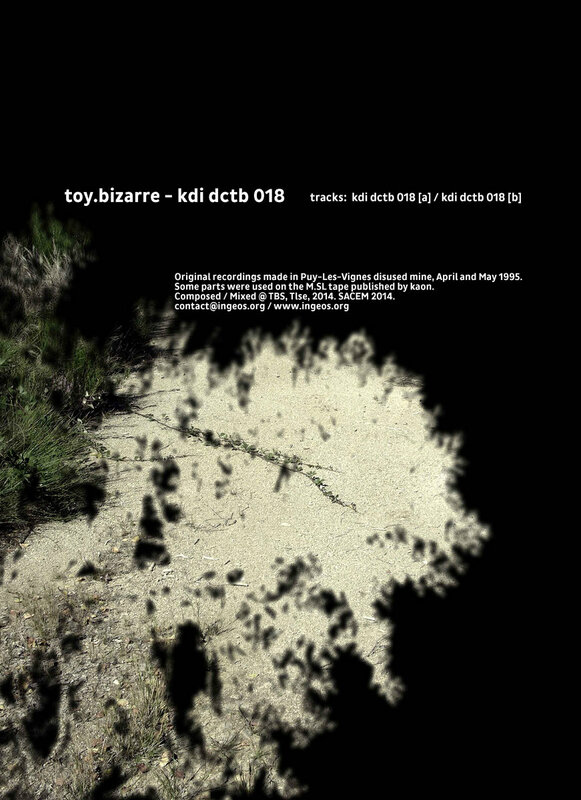 On this thirty-nine-minute collection, toy.bizarre is represented by two pieces and EMERGE (who, a long admirer of Peyronnet's work, commissioned the release) a single, twenty-minute setting that's based on toy.bizarre's material. 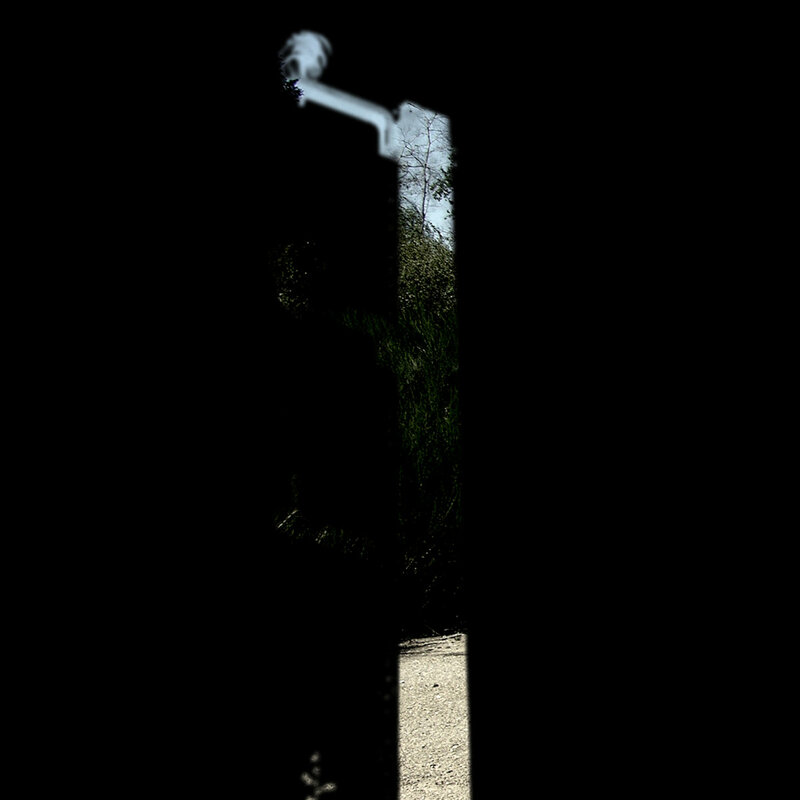 In true soundsculpting tradition, Peyronnet collects representative sounds of a particular place and then composes a work using only those sounds, the goal being to create a sonic portrait of the locale. His first piece, “kdi Dctb 018[a],” teems with flurries of creaking and gravelly sounds, but it's not without musical content, as Peyronnet threads into its center a droning pulse. It's not without its share of surprises either, as demonstrated by the abrupt disappearance of the burrowing noises midway through, a move that also produces a dramatic shift in dynamics when the now-unencumbered drone first intones quietly and then swells to a climax. “kdi Dctb 018[b]” bores deeply into its subterranean realm for nine writhing minutes of scraping and scratching, and parts company with the opening setting in burying its drone content almost to the point of near-inaudability. On his side-long EMERGE setting “msl,” Stadlmeier fashions a complementary treatment to Peyronnet's that's filled with an equally generous share of gravelly textures. 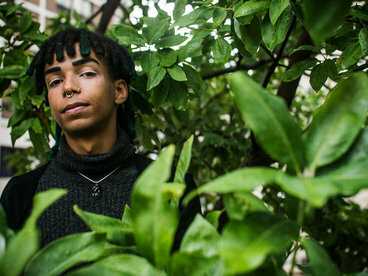 But “msl” distances itself from the opening settings in working convulsive rhythmic patterns into its musical framework, and the listener is presented with a dramatically different conception despite the fact that it's based on the same material Peyronnet used for his. 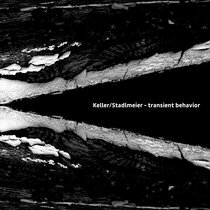 Accentuating that difference further, Stadlmeier's piece ventures down multiple pathways, some episodes densely packed and others less so, and an extensive array of textural treatments is presented as the exploration progresses. One thus comes away from the release hearing “msl” as more of a formally composed setting and the toy.bizarre pieces as incident-rich collages. aber selbst wenn: definitiv eine nachtwanderung durch die grenzbereiche von ton und atonalität, von geräusch und seiner transformation zu klang. nichts für den schnellen genuss... wie ein gutes rätsel. 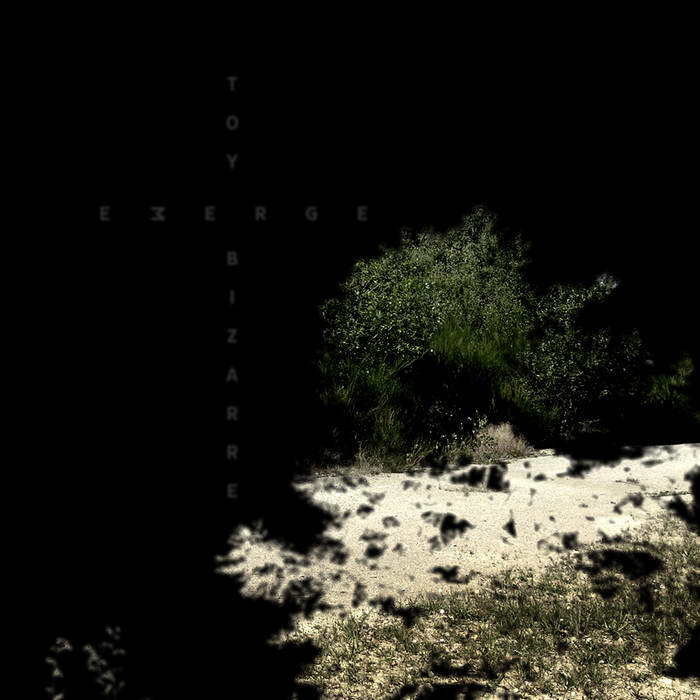 Once again I have a privilege to review ambient album and this time it’s a split vinyl record between Toy Bizzare and Emerge. I had some difficulties to find more information about Toy Bizzare, but after half of an hour of searching through the magic world of internet technologies, I founded that Toy Bizzare is a project of Cedric Peyronnet, who is active as a musique concrete and field recording sound artist since ninetees. 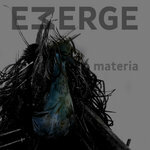 Emerge is well known on the ambient and noise scenes as one of the most active guys in a fields of publishing and touring and his discography is quite impressive. Sascha Stadlmeier is simply unstoppable. Toy Bizzare is opening A side with two very tracks. Sound can be described as a very well blended mixure of musique concrete, field recordings and ambient sounds. Both tracks remind me of some experimental tracks for B production horror movies, but not to be mistaken, this sounds really good. It gives a feeling like you are crawling through the haunted woods in the middle of the night with chains on your wrists and wood is constantly crackling beneath you. If you’re fan of horror movie soundtracks, this is right up your alley. Emerge is present on B side with twenty minute long ambient track which perfectly continues the story Toy Bizzare have started on the A side. 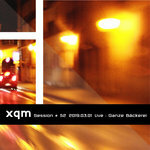 Sascha reworked sounds that Cedric has been recorded in a middle of the ninetees and put his own Emerge touch on them. The result is more than hearable. Everything sounds much more grimy, bizzare, dark, haunted and most important, like a perfect formula for success. Such a pleasant finish to a whole LP. 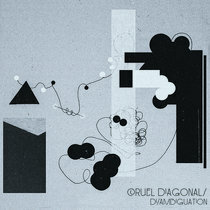 This masterpiece is available at Attenuation Circuit records, like many more impressive CD, tape and vinyl releases and I encourage you not to miss the opportunity to grab this fine piece of experimental music which will satisfy your needs for exploration into musique concrete and ambient sounds.